It is sometimes funny how songs come to you as you walk in an unknown city for the first time. I photographed this in Old Havana, Cuba earlier this month. As for the song, U2 debuted “Where the Streets Have No Name” in 1987 on their Joshua Tree Tour. The song has more meaning than one would assume upon listening, which is true for the majority of U2 songs. The song was written by lead vocalist Bono as a response that you could figure out the religion and the income of an individual based on the street in which they call home. Bono suggests that the street represents or should represent little about a person and their life. The streets are where everyone can come together despite their background, their likes or dislikes. In the street, you see no barrier dividing one from another. 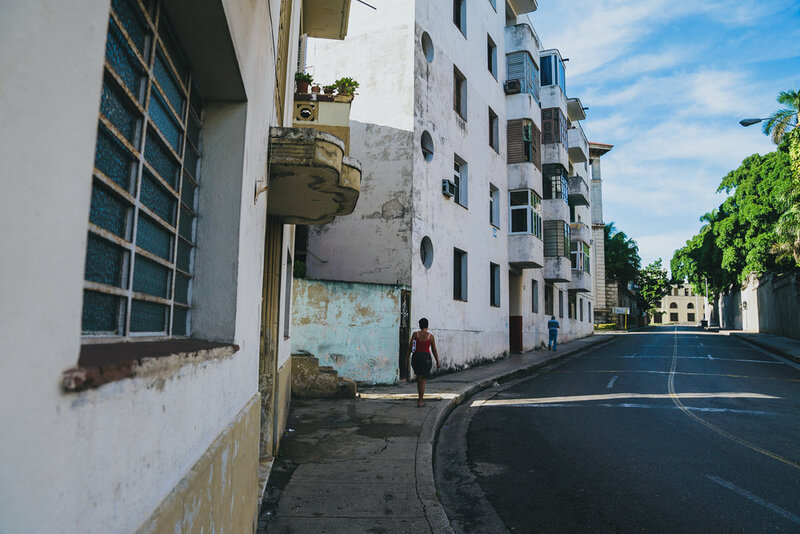 This thought of a melting pot of neighborhoods is especially true in Cuba due to the governments excessively high tax rate on residents equally 90% of their income or even crop. Such a rate , for the most part, make all equal. Cuba is not so much divided by class, but instead by character.